The Zoggs Predator Flex 2.0 Polarized Ultra Goggles are feature a new Ultra-Fit frame technology for an “invisible fit” feel and a new streamlined fluid-dynamic profile. 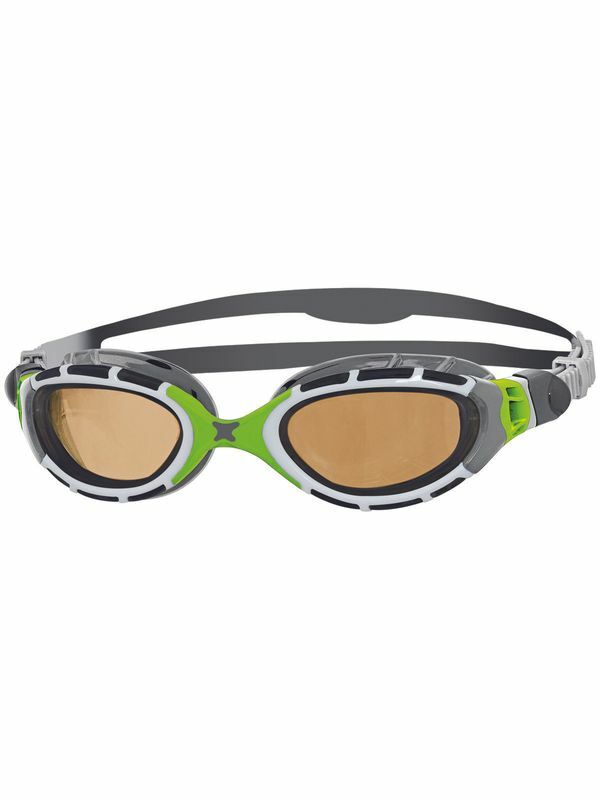 The exceptional comfort of Predator Flex remains in these Predator Flex Polarized Ultra Swimming Goggles, with unique 4 Flexpoint Technology for enhanced frame flexibility. The Polarized Ultra lenses filter blue light to cut out glare and reflected light in bright conditions, perfect for those sunny swims. The lenses also offer fantastic UV protection, Fogbuster anti-fog and CLT Curved Lens Technology for 180° peripheral vision.